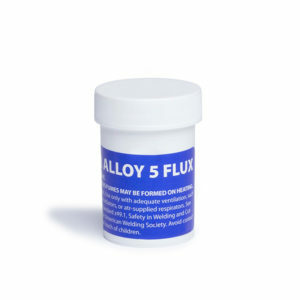 For this video, a 3/8″ hole in an aluminum boat is repaired with Super Alloy 5 rod and flux and a Bernzomatic, oxygen/MAPP gas torch that can be found at almost any hardware store. Propane or MAPP gas without an oxygen feed will not work on aluminum boats due to the aluminum heat dissipation. Always clean the aluminum with an abrasive such as a sanding disk, wire wheel etc before starting your brazing process. 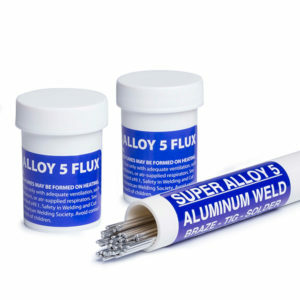 SUPER ALLOY 1 CANNOT BE USED TO REPAIR ALUMINUM BOATS. IT IS NOT STRONG ENOUGH FOR THIS APPLICATION.